I don't know what you're talking about. I have NEVER organized my bookshelves, checked the weather in Jaipur, made Teepee a feather head dress while working at home. Never. I love the wildness of the flowers. 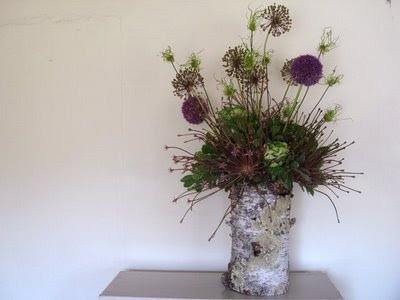 From floral designer to floral designer... WOW. 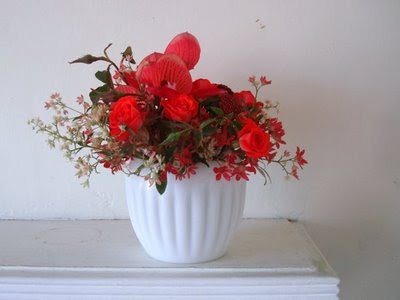 I love the red in the milk glass vase. Thank you for all of the inspiration. Love he second arrangemens. The whole thing looks so wild, yet perfect to put in the house. So, I do not really consider it may have success.